The ‘Trojan Female Technique” is a genetics-based population suppression strategy. Wolff et al. (2017) report results of empirical tests of the idea using Drosophila melanogaster as a model system and show net population suppression. Genetics-based pest control strategies are becoming increasingly discussed since the emergence of CRISPR/Cas9 which enable the construction of useful genotypes. 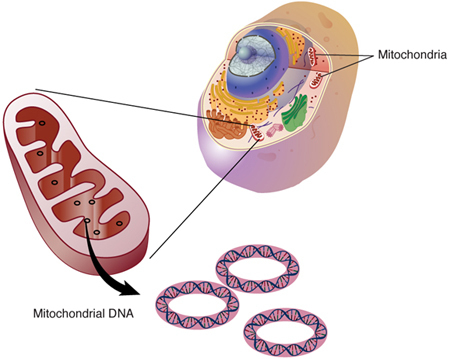 A unique and potentially ‘natural’ approach is to exploit the existence of mitochondrial DNA (mtDNA) mutations with male-biased effects. Ideally, such mutations would severely reduce male fertility while having little or no effect on female fertility. Theory indicates that under some conditions this can result in population suppression. Mutations in mtDNA showing the highly asymmetric fertility phenotypes have been reported in Drosophila, some beetles, some rabbits and even humans. While the modeling looked promising there were no empirical data. Wolff et al attempted to provide proof-of-principle data for the concept of TFT. The authors describe a naturally occurring mitochondrial haplotype in a population of Drosophila melanogaster in Brownsville, Texas. When put into a range of nuclear genotype backgrounds the Brownsville mtDNA resulted in reduced male sterility. The responsible mutation is thought to be in mtCyt-b. Using small laboratory populations consisting of 80 individuals with varying frequencies of the TFT haplotype (0%,25%, 50% and 75% were established. The authors had three D. melanogaster lines containing Brownsville mitochondria and conducted seven biological replicates. So all totaled there were 84 experimental populations (4 x 3 x 7). Experimental populations were followed for 10 consecutive generations and seven females were genotyped at generations 1, 5 and 10. There are some additional relevant details concerning these experimental populations that can be obtained by reading the paper. Small (8%) but significant reductions in the mean number of offspring as well as an increase in the percentage of the TFT haplotype over the course of 10 generations. The extent of population suppress depended on the frequency of the initial release of the TFT genotype – requiring high frequencies (50%, 75%). The 8% reduction in population size was less than expected based on theory. The authors discuss some possible reasons for this. The authors were quite optimistic that the TFT continues to hold great promise and that mitochondrial gene editing will facilitate its development not just for insect control but for a wide range of invasive species. There have been advances in mt-gene editing so perhaps we will see more variants of TFT that result in higher levels of population suppression and in additional animal systems. Wolff, JN, Gemmell, NJ, Tompkins, DM, Dowling, DK. Introduction of a male-harming mitochondrial haplotype via ‘Trojan Females’ achieves population suppression in fruit flies. Elife 2017; 6.